Most of the good things today normally comes in small packages only. When you consider about the original Fiat 500, it was a big hit at the time of 1957 when it was launched. The modern car of the same model has the classless charm like its predecessor. Because of the design with no small part with eye-catching styling, retro-themed 500 become as a familiar car and we can see most of them on the roads. Most of the appeal of car gets through cute circular headlamps and curvy lines. The models of this car are available with a vast range of personalization options along with the array of bright colors and hence it is sufficient to have little imagination to create the Fiat 500 according to your style on your own. The interior of the car was neatly designed and well-built one with the lots of retro-styled switchgear and body-colored dash that was capable of stretching from door-to-door in a reliable way. The car was designed with two main trim levels such as the Lounge and Pop. It also had the choice of sporty Street and seventies-inspired color therapy for the special-edition models available. When you consider about the cars of entry-level, they had come with the fittings of 14-inch steel wheels, electric windows and MP3 connectivity. In the type of Lounge trim level, the models were added with the options such as 15-inch alloys, Bluetooth, a fixed glass roof and air conditioning. 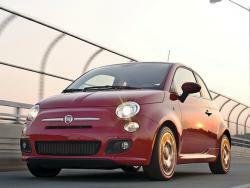 The model Fiat 500 was packed full of character and the car with the option of easy to drive. When you think about the engine of this model, it was ranged from tiny to big such as 85 bhp 875cc two-cylinder turbocharge TwinAir engine to the 1.3 liter Multijet diesel that was more fuel-efficient one. There was also the option of the 69 bhp 1.2 liter petrol, which was available with the six-speed manual gearbox. All other models of this series had the option of five-speed manual. Because of the Dualogic automatic gearbox fixed in this model that was normally offered to the petrol cars, which was inexpensive and jerky it would be better to avoid that option. Apart from that because of the rev-happy nature of the TwinAir engine most of the drivers prefer to go with that model. But, in the case of motorway selecting the Multijet diesel was an efficient option that can be able to serve as the mix of decent refinement and punchy performance. The steering of this model was light and you can handle this in an efficient way that was nimble and fun compared to other ranges. 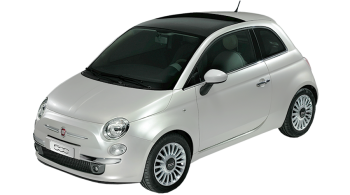 When this Fiat 500 model was getting through the Euro NCAP test in 2007, it was awarded with 5 five-star rating that made it as one of the safest among the cars available in the city. If you go through the airbags of these model cars, all the models came with the standard options such as driver, driver's knee, passenger, curtain and side. They were also added up with the ABS and Isofix child seat mounting options. Compared to the entry-level models there was a drawback with this as it couldn't be worked without electronic stability control. 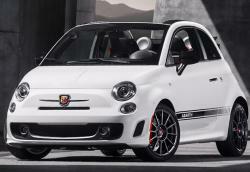 The Fiat 500 model was available with the option of automatic hazard activation under the system of hard braking. 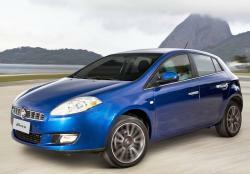 When compared to other small Fiats, the trigger point of the model was over sensitive one. 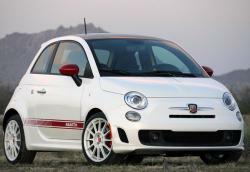 Even though there were lots of changes made with the Fiat 500 in order to overcome the reliability issues of the past, still there were some problems with this model. In the 2012 Driver Power ownership survey it finished the 81st position, but in the case of build quality and reliability chart it managed only 71st position. It was only able to finish the low 30th place in the finished bottom of the pile overall. The Fiat 500 was not treated as the most practical car on the market because of the small dimensions it had. When you consider about the 185 liter boot of this model, it was so much longer than the more expensive models such as Vauxhall Adam with 170 liter and MINI with 160 liter of space. Apart from that, all the entry-level Pop version cars came up with the option of split-folding rear seats that would probably increase the load capacity of the car to 550 liter. The rear room of the car was tight for adults. Even though there was a limited range of height adjustment available on the wheel, there were enough rooms for the driving position that made it as the best one. 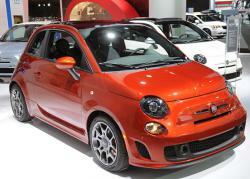 All Fiat 500 Production Moving to Poland in 2015?